L.A.P.D. officers from the Wilshire division assisting L.A. School Police subdue a suicide attempt suspect on top of a car port at L.A. High School on Olympic Blvd. The suspect appeared to have some mental problems, and would not listen to any commands given to him by the police. 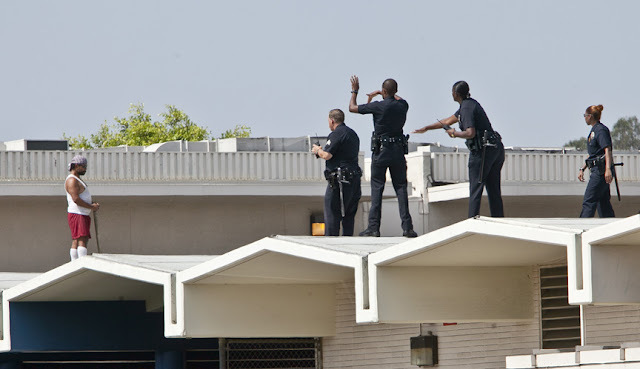 The man held a sharp spear up to his abdomen and threatened to impale himself or jump off of the roof. L.A.P.D. officers gradually surrounded the man and shot him six times with non-lethal bean-bag rounds from a shot gun. The suspect seemed un-phased by the bean bag rounds and attempted to stab himself with a spear. 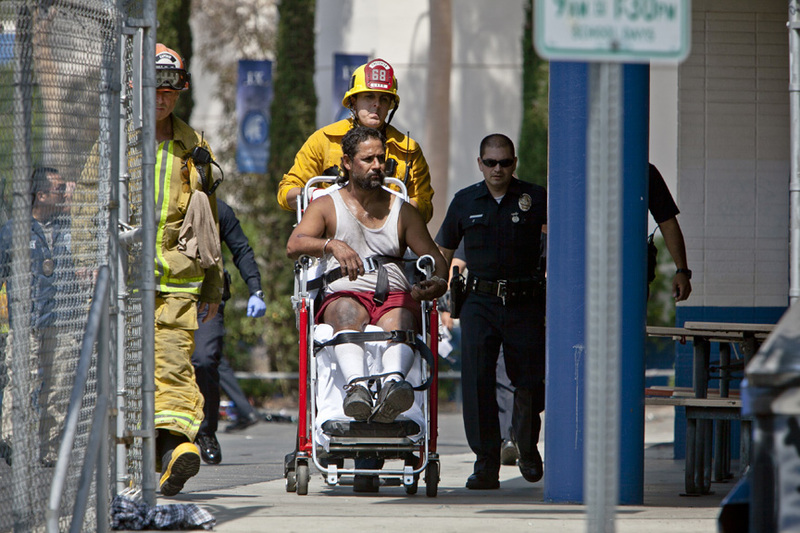 LAPD then fired a taser round which immediately stunned the suspect long enough for officers to subdue him. 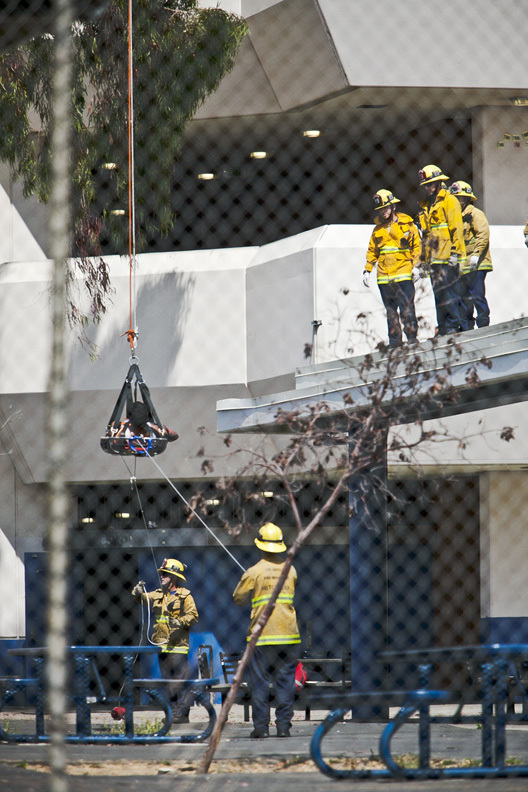 He was hoisted off the roof of the building by L.A. Fire and taken to a local hospital. L.A.P.D. officers with the suspect. The suspect hoisted off of the roof by L.A. Fire. 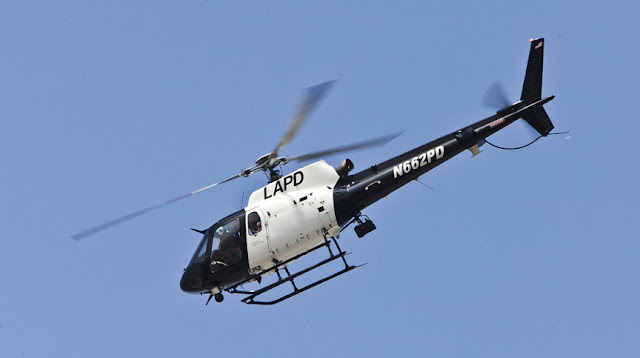 L.A.P.D. 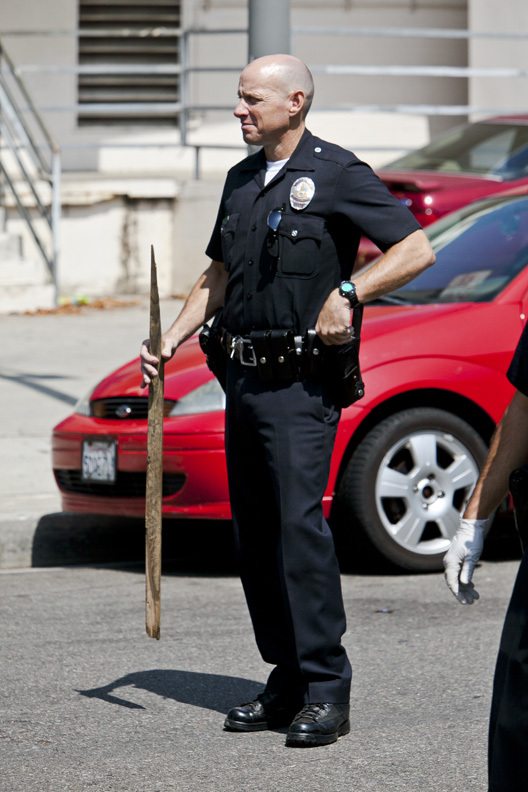 officer with the suspect's spear. The suspect on his way to the hospital.